Kelly Harvey Living is a design firm and furniture manufacturing house lauded for its passionate and unique approach to every project, its bespoke design process, craftsmanship and the emotive responses its spaces inevitably evoke. With work spanning North America, Kelly Harvey Living continues to grow, forming longstanding partnerships with a global roster of preeminent condominium and residential developers, world-renowned architects and hospitality brands. Kelly Harvey Living is the recipient of numerous design awards, publications and TV appearances on HGTV. Established in 2006, the boutique residential home design firm is known for their timeless home designs and their emphasis on craftsmanship. We believe that every home, at every level, in every neighbourhood can be beautiful and comfortable. With a personally tailored approach and an expert eye, we'll help you realize the dream of an amazing home that best suits your personality, your lifestyle and your budget. Our value to you is our ability to listen and create a truly custom environment that address your vision through personal attention and our ability to execute and administrate your project seamlessly. Bird Architecture & Design is a small architectural design firm located in Innisfil specializing in residential design services for custom homes, cottages, renovations & additions. Our main priority is to listen to the needs of our clients and create a design that is creative, inspiring, functional and most importantly suits your lifestyle. Bird Architecture & Design is a fully insured, qualified and registered (BCIN) with the Ministry of Municipal Affairs and Housing of Ontario. From preliminary and conceptual design to architectural drawings we provide all the required documentation to obtain a building permit and we'll assist you during this process. 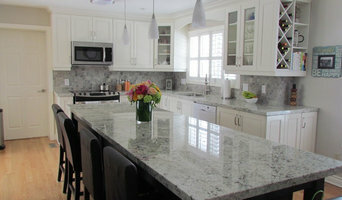 Etienne Interiors creates custom curated interiors that reflect your lifestyle. We source unique furniture both locally and abroad to infuse a sense of worldliness to our interiors. We can work within any budget, from limited to extravagant. 3D renders of our designs are provided to every client so that they can feel and experience the design before any work begins. Create the home you've dreamed of, your Etiennvy home. Raphael Gomes Interiors is an experienced custom home design firm operating in downtown Toronto and the surrounding area. We are a dynamic company with great vision and a dedication to excellence and quality work. We pride ourselves in producing exquisite high end custom homes and boutique commercial spaces for a discerning clientele. Understanding both client objectives and design complexities is what sets us apart from the rest in delivering quality work, on time and personally catered to each and every client. Our client satisfaction is our priority and our mission is to do so while making it an easy and enjoyable experience. Established in 2005, Dvira Interiors is a full service versatile boutique Interior Design firm operating out of Toronto, Canada. Each project starts with an agreed upon budget, working on one or multiple areas of your home or business. Dvira believes that by blending your personal lifestyle with her multidisciplinary design skills as well as industry expertise leads to a perfect project plan. Dvira body of work includes small to large scale renovations. From condominiums, to single family homes, multi unit residences, investment properties, and even commercial spaces. Dvira has also worked in Television for over a decade on a array of design shows, she has worked with Debbie Travis as her Chief Designer; Lead designer to such shows as the ‘Unsellables’, ‘Downright Domestic’, ‘Reno Vs. Relocate’. As well as her most extensive body of work on HGTV’s ‘Income Property’ working along side Scott Mcgillivray as the Chief Designer and Art Director. As well as Art Director for the Property Brothers on a variety of episodes. Micieli Design specializes in the design of bespoke interiors. With over 10 years' experience translating clients' dreams into beautiful interiors, taking care of every detail that is necessary. Micieli Designs' owner and principal designer Ana Micieli has a passion for creative interiors, craftsmanship and the commitment to design excellence is at the heart of everything she does. Micieli Design has a unique style; an effective blend of classic sophistication and a modern edge. Therefore we take an in depth approach with each project and client, ensuring the outcome of a distinctive interior that is tailored to our respective client. Our design commitment is to enhance the lifestyle and surroundings of our client. We strive in transforming interiors that have a unique flair and distinct identity. Micieli Design merits an approach that is detail-oriented, warrants success and unsurpassed quality in every phase of the design process. We offer our clients a creative approach to spatial reconfigurations, unique interior design and exclusive bespoke furniture/cabinetry design services. Sensus Design Planning offers a full service interior design planning experience. We offer cohesive drawing packages to organize and master plan your project alongside 3D models, permit submission and structural engineering sign offs, project management services, and moving services. All of this, offered through a structured, hands off experience as a result of our multi-faceted approach. This understanding has aided us in developing a cohesively structured experience for our clients that ensures the process is loved just as much as the final product. The result is a dynamic range of service offerings that aid us in perfecting the construction planning process, while providing you with a simplified and clear path forward to explore your vision. Services like zoning feasibility and construction cost analysis, 3D renders and virtual reality walkthroughs, city permit drawing and applications, and on-site problem solving assistance allows our firm to remove the guess work associated with your project. Fast-tracking your design and build project is our specialty through our design-assist services. Using this structure, our design team works cohesively with our construction managers or your construction team in order to start the initial phases of construction while your vision is being developed for the space. We aid our clients in achieving their vision through a single contract entity instead of having to coordinate with numerous consultants and contractors. This streamlined service avoids communication delays, improves construction timelines, enhances cost management capabilities, and ensures accountability throughout all stages of the project.